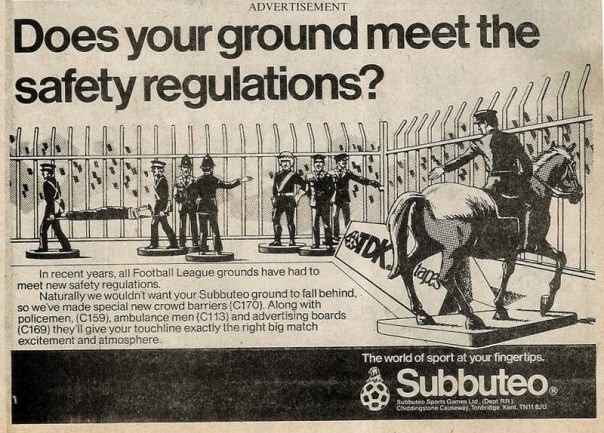 I remember the summer of 1990 with a bit of a fondness. 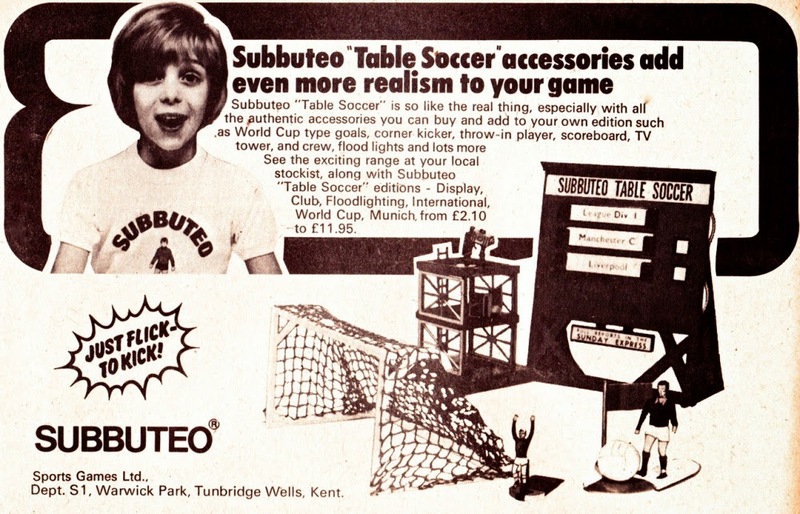 In making it to the Semi-Finals, England had their best performance at the World Cup since winning it on home soil in 1966, my family later spent the first few weeks of August in Florida and for the icing on the cake of a very nice summer, I discovered the game of Subbuteo. 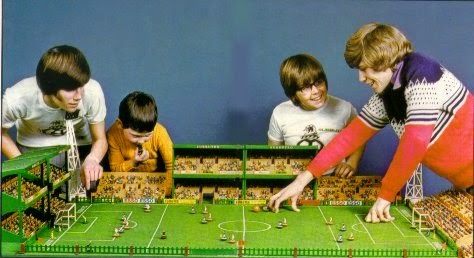 Before decent console or computer games existed, kids who wanted to play some form of football game indoors, the game of choice was a tabletop game invented in 1947 by Peter Adolf called Subbuteo. 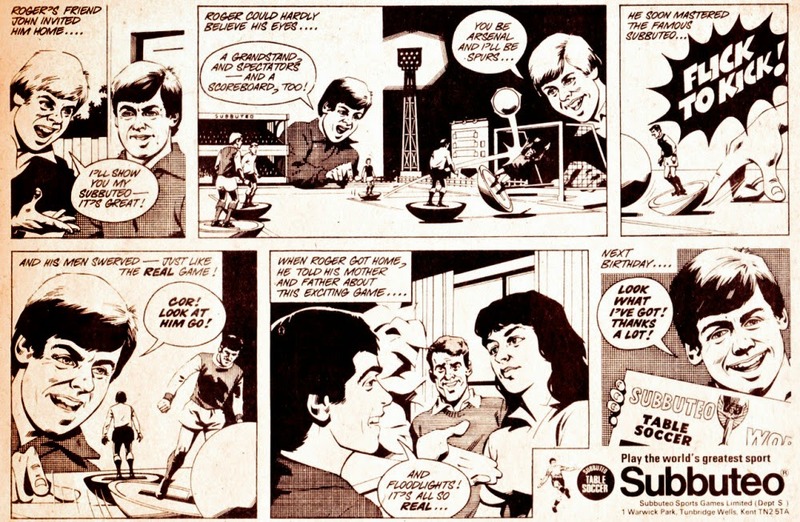 The game takes it's name from the Latin phrase 'Falco-Subbuteo' which means bird of prey. Adolf chose this title for his invention when he was not granted a trademark, after his ambitious plan of calling the game simply, 'Hobby'. 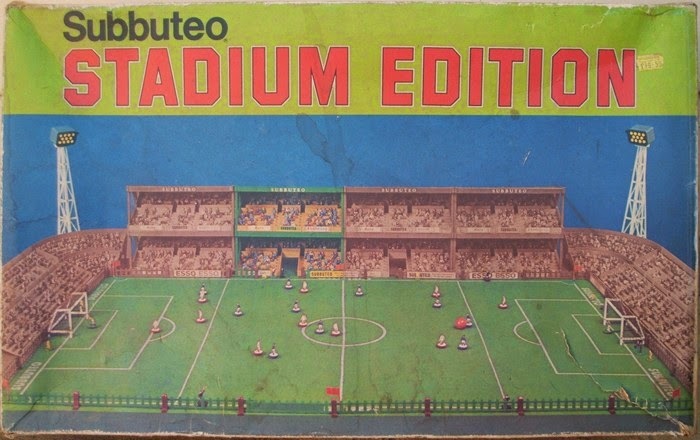 Subbuteo evolved from it's simple roots of a cardboard figures, paper nets and instructions on how to draw a pitch to heavyweight molded plastic figures, with material pitches, stands full of supporters, police and ushers, referees and even streakers. 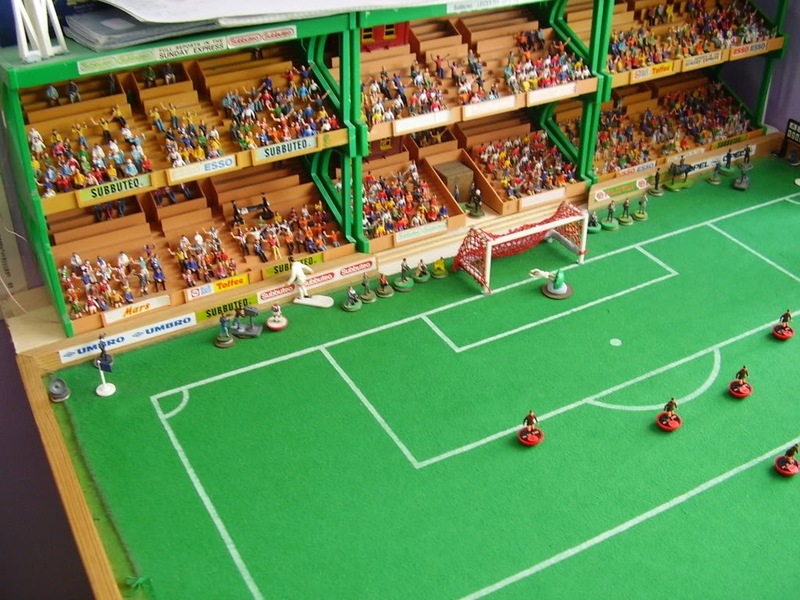 The game is played simply by flicking the base of one of your figures to move the ball, and repositioning your players up the pitch in an attempt to score. Your opponent gains possession if you hit one of their players with the ball or put the ball out of play. 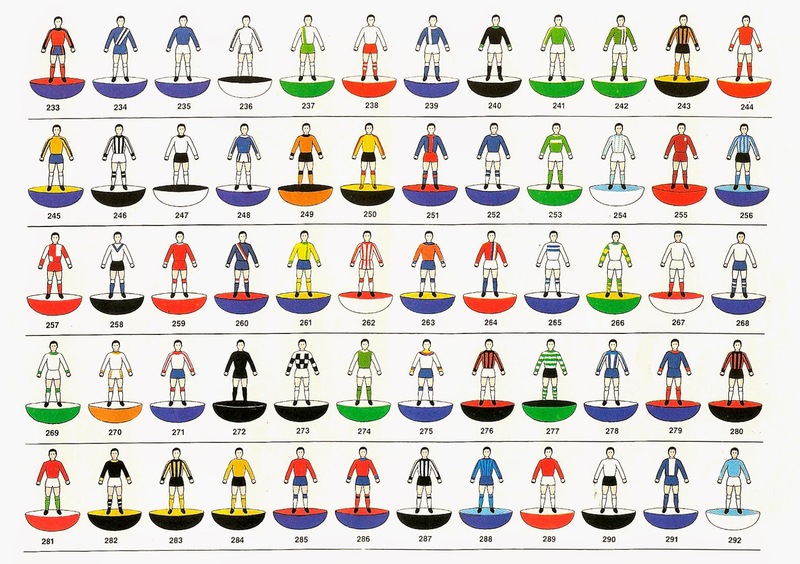 At it's height, the colours of hundreds of teams from the around the world, both international and club sides, were available and even competitive leagues sprung up with attempts made by competitors to one day get Subbuteo into the Olympics. 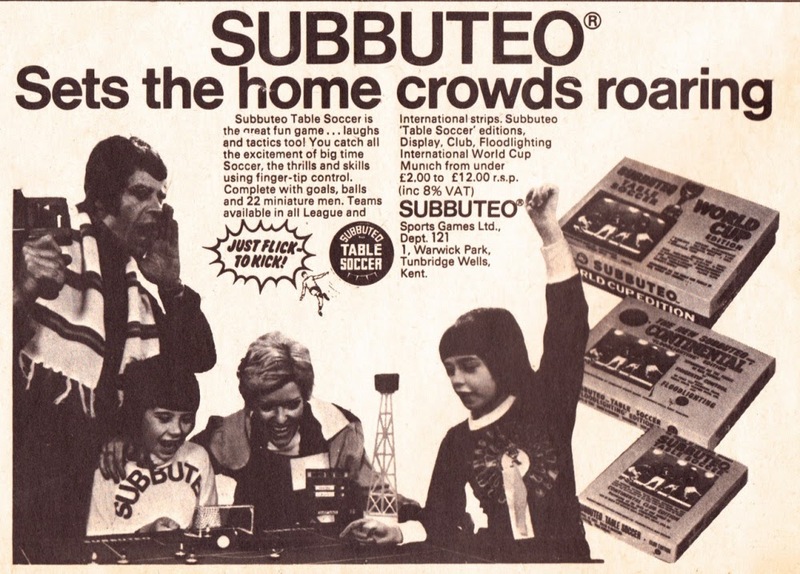 After the rise of sophisticated console games in the 1990's, Subbuteo went out of production for several years, but returned in 2012 with redesigned players and accessories. 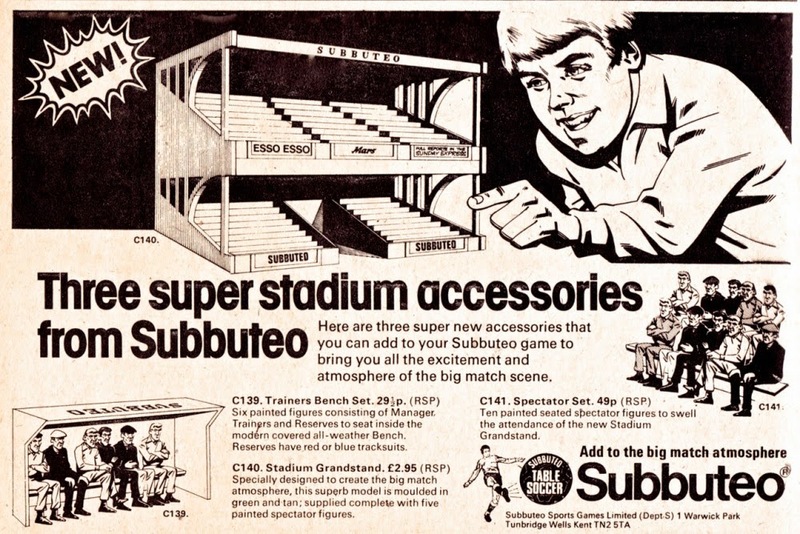 The following are some of the brilliant advertisements for the game that were put out back in it's heyday, and images of some of Subbuteo's more impressive accessories.